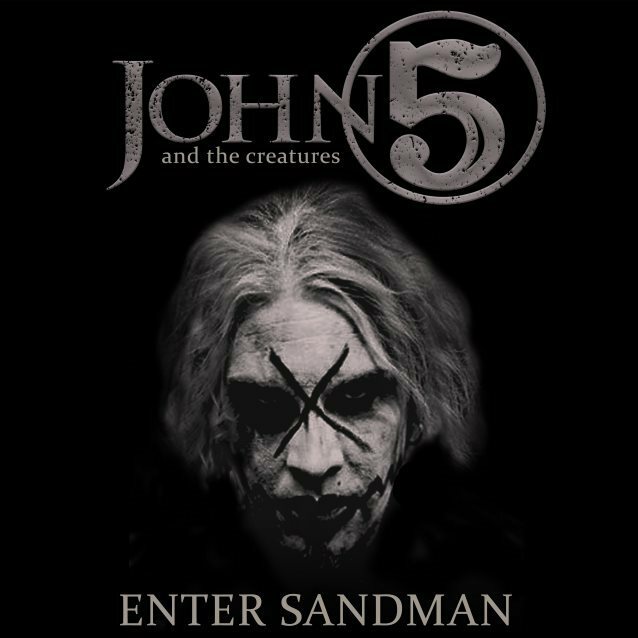 Former MARILYN MANSON and current ROB ZOMBIE guitarist John 5 has released his cover version of the METALLICA classic “Enter Sandman”. The song is now available for streaming on Spotify and in the YouTube clip below. John 5‘s latest studio album, “Season Of The Witch”, was released in March. His solo band THE CREATURES includes Ian Ross on bass and Rodger Carter on drums. John has had an illustrious career collaborating with chart-topping artists such as LYNYRD SKYNYRD, Ricky Martin and Rod Stewart. John has performed on critically acclaimed world tours with MARILYN MANSON and ROB ZOMBIE. Later, John ventured into the world of film score composing for Rob Zombie‘s “The Lords Of Salem”. In 2004 he branched out into a successful solo career and has since released eight studio albums.